Back in the day, we used to build balsa wood airplanes and hand line fly them. We'd cut, sand, straight pin and glue the perforated wood kits pieces together a top of the outlined templates. I recall we'd put wax paper on top of the paper templates so when the pins were pulled, the sub-assembly would just pop off the templates ready for final assembly, wet paper skinning the ribbed wings and fuel proof painted with dope........A lot of FUN my Dad passed to me when I was maybe 8 yrs olds........ We used the infamous Nitro fueled Cox engines, .049, .049 Golden Bee and the like, hook up a start battery to the ole glow plug and finger start these things (forward rotation hopefully if it didn't back fire, smack your finger and run backwards). We'd hand control line fly them for hours, we never had enough extra money to install the RC servo's and buy a radio but, had a ton of fun flying at any rate ........................Fast Forward. Drones!! Yah yah, "grrrr, grumble grumble!!" So aside from all the irresponsible people that exist in all walks of life doing all kinds of dumb things (you know, driving boats over others in boats, drinking and driving at 1000 MPH going wrong way on our interstates, shooting up our kids at our schools and flying commercial 747's jets full of families while high on coke), these things are out of this world fun to fly!! To a old kid who cut his teeth building and loved flying balsa wood model airplanes, these higher end drones (not the Wal-Mart type toy drones) of today with all of the computer controlled flight stuff, GPS navigation and images stabilizing controls and real time displays are yesterdays RC planes on mega steroids. And funny thing is, actually drones (most if not all, non-toy type) of today's era are much safer then yesterday's flying RC models with all their built in real time FAA safe fly stuff such as no fly zones alerts/warning/shut downs, obstacle avoidance sensors and GPS/vision guided auto fly home features that weren't even possible in the RC planes of yesterday. So yeah, if ya have a chance and loved flying those things we did and might have hand built as I did in the past and are still a bit of a kid at heart, do ignore the BS stigma due to a few bad apples in the bunch and get one!! If not just to enjoy flying again, which btw some fly so wonderfully easy but, get one for taking beautiful pictures, video's while on vacation and the like. Last edited by sam am I; January 23rd, 2018, 10:04 PM. Oh yes hours of cutting balsa wood, skinning delicate tissue paper over the frame and making it durable with multiple coats of paint. The bigger cox engines would just about break a finger. I still remember the smell of dope and fuel and the agony of defeat when hours of work ended in a crash and a pile of sticks! Many of mine never flew but hung from the ceiling with wire. There is a propeller, engine and nose cowl still embedded in the roof of the elementary school i went to. We managed to salvage the radio and parts of the plane. I've played with the DJI Phantom 3 quite a bit. One of the guys I know has the Mavic and another group I know has a couple of fixed wing and a couple of the Inspires. They are a lot of fun to fly. Recently I got a couple of smaller models (palm-of-your-hand size) and they're a riot too. No GPS control to those, so it's much more active. I have about 20 RC planes in my garage that I need to finally get rid of. Gas powered, electric powered and gliders. I am getting married and moving from my 3 car garage house with no cars in it to a 2 car garage with one car in it. Anyone in southern California can get a good deal! Free is a good deal! I have RC sailboats and gas/elecrtric cars as well. Needless to say, the garage is packed. Volvo Penta Duo-Prop 7.4L "LK"
I have a few lil no GPS types too I fly in the office, take super high amount of on stick control to keep those bad boys from crashing. That Oori I guess is a no GPS type and does 60 MPH, no way can I run it that fast, just out of my league. Last edited by sam am I; January 23rd, 2018, 09:15 PM. I was very much into RC planes until 10 years ago. Before I took my last job, I almost went to work for this company for their unmanned aircraft division which is 15 minutes from my house. My friend who used to be my boss works there. Go into the building and people are flying tiny electric airplanes around the office. Last edited by bruceb58; January 23rd, 2018, 08:46 PM. Boy Bruce, that is tempting me to drive to Cali, I love playing Air Planes and RC Copters! 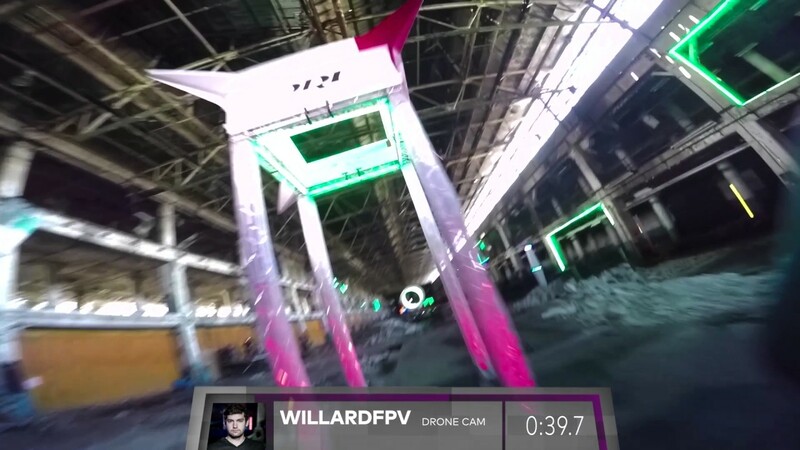 I read this post at the perfect time.Theres a drone racing league race on tv tonight .No pun intended ,man do those thing fly! In 1974 I had a hand line spitfire which went exactly once around then up and then into the dirt and shattered into a million pieces,lol. In 1974 I had a hand line spitfire which went exactly once around then up and then into the dirt and shattered into a million pieces,lol. ^^^^^ I had that one too!!! I haven't thought about that thing in years! There's a first person view quad copter racing league here in Middle Tennessee. I don't have the eye/hand coordination anymore to fly at the speeds they're moving through the obstacles. But it's cool to watch them go. Many quality hours of my preteen life was spent with models (in the '50ies) but regretfully I never mastered the art of flying them. After what I remember as an acceptable build, it wasn't long before I crashed them to smithereens on a maiden flight. Years later, when I had kids myself, I got back to the models but unfortunately was not much better. Today, my kids (All adults some with adult kids) and I still laugh about it. I wish I could claim success but that is not to be. But I still would not trade the time spent. southcogs the dr1 league uses first person head sets and races all over the world.I believe one of the races in last year was though the old Packard factory in Detroit. As a kid, my dad taught me about R/C models.. He had a Sweet-Stik, and I built an H-Ray as my first..
Bad a blast with those.. Built a nice P-51 too.. Still have a half build F4U Corsair, engine and radio for it.. Will probably finish it someday.. Nasty when they crash though... haha! Usually about tree top level with the heli's and quad..